How Do You Tell a Parkland, FL. Student About the New World Order? I received an email that got my attention from a Parkland High School Student named Cameron Kasky. He is trying to get his mind wrapped around the New World Order and what it means to his family and himself. He expressed a real sense of foreboding. Getting an email of this type is not common as I usually hear from people who are over 40. Therefore, I think this is a real opportunity to reach out and touch this young person whose world is crumbling before his very eyes along with any future opportunities. I wrote Cameron back a short response. I would like to follow up with a longer response based upon the best pieces of advice that I can solicit from the over 40 crowd. Please read Cameron’s email and get back to me with what you would tell this high school student who survived a horrific event and I will write to him again with a composite of the most salient suggestions on what a high school student can do in order to proactively participate in the fight. …Students will no longer risk our lives waiting for someone else to take action to stop the epidemic of mass school shootings that has become all too familiar…. …We will not go to school any longer knowing that day could be our last. Thanks for your note. We need the young people to develop an awareness of what is going on in the world, so they can work towards a solution. After all, it is your world that is being destroyed. I appreciate your well-intentioned efforts but I wish we had more young people like you involved in the Democratic process however, your approach to this is misguided. You will never keep the bad guys and the psychotics and the terrorists from obtaining guns no matter what you do. Gun confiscation will not even get half of the guns. Your only protection, is to have armed police, or teachers with CCW’s in the halls of every school. I think you and your friends should discuss another question. Why is it that Switzerland, who has a higher gun ownership per capita, have absolutely no school shootings? There is another question that you need to be asking. Until you can get all of the guns, Cameron, what are the adults who are organizing your movement doing to to make you safe at your school this week? Have these anti-Constitutionalists put armed guards at your school, today, in order to make you and your fellow students more safe? If not, why not? Don’t these liberal adults who would seize everyone’s gun care what happens to you NOW? Or, could they just be using you to get all the guns and they have an ulterior motive? The organization that you and your fellow Parkland, Fl. students who have chosen to align with, We Are Change, is a George Soros organization. Who is he? He is a former Nazi collaborator. He is Jewish by background, but as a teenager, he sold out his fellow Jew for the proverbial “30 pieces of silver” and his fellow Jews went off to death camps thanks to Soros. Today, he is trying to overthrow the United States. He is behind EVERY race riot and social controversy He is behind trying to get California to break away from the United States in something called CALEXIT. He is aligned with terror groups who do his bidding. You should ask yoursellf why a man like George Soros would help the Parkland, FL students. It certainly is not because he cares about you or any other American student. He is responsible for overthrowing nations that he disagrees with (eg Egypt, Libya, etc). He is a very bad man who is using you and your friends to take guns away from law-abiding American citizens. Why? Are you familliar with the University of Hawaii Democide Project? What they teach us is that when people have their guns seized, they are murdered (ie genocide). Please research this and you will easily see that I am correct. It is called the New World Order and they need to get rid of the Constitution and our Bill of Rights so they can have their way with us. And if we have guns, Soros and his friends know that we will resist. This is why your gun confiscation efforts will fail. Too many Americans know the danger and I am sorry that your US History teachers in Parkland, FL. have failed to teach you the lessons of history about what happens when a government seizes its citizens guns. As a Christian, I agree with you that it would be a better world if nobody had guns. But that is not the world we live in. And adults like me refuse to be disarmed because we fear what the George Soros’ of the world will do to our citizens. Cameron, don’t you find it ironic that you marched, on March 24th to get our guns, yet your fellow participants were guarded by ARMED MEN WITH GUNS?!!!! ISN’T THAT HYPOCRITICAL? The so-called leader of your movement, David Hogg is so misguided he is now drifted away from gun confiscation to defending those that imperil our food supply. His using his platform and is now deviating from it to defend George Soros interests in other areas. I have to ask you Cameron, have you ever had Hogg in one of your classes? There are many who think he is not a student at your school and that he is a fraud. What proof can you offer that he is a student, who has prepaed nazi-gun-control kind of speeches speaks with the precision of someone who is reading from a George Soros press releases. Please prove to me that he is a CURRENT student at your high school located in Parkland, FL. The destruction of your world has been planned for a long time. 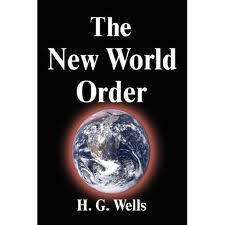 See the book cover below of HG Wells and his prophecies for the NWO. They are frighteningly accurate. Here is where you come in, Cameron, you need to wake up every teenager you know. We are getting to fight a war and I believe there is going to be a draft. Your generation will be used by the bankers to fatten their wallets while young people like you are slaughtered by the millions. Those bankers include George Soros. I do not want to frighten you, but time is of the essence and it is time that you awaken to the reality of the World that [y]ou live in not the false reality persented by Soros and CNN. Your biggest danger tomorrow in school is not men with guns. It is not having men with guns to guard your school. If Soros truly cared for you, he would see that you have your protectors in school today before you go to school tomorrow. Above all else, get right with Jesus. God can work miracles if we are of the right spirit. We are falling far short on that point at the present moment. If I can assist you in your journey towards liberty, do not hesitate to contact me again. I am certain that we will communicate with each other in the near future. Until then….